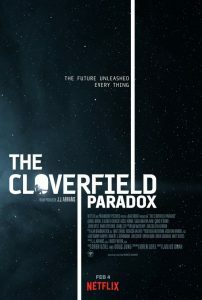 As a big fan of 2008’s “Cloverfield,” and its anthology spinoff film, 2016’s “10 Cloverfield Lane,” I’m genuinely disappointed with the series’ third entry, “The Cloverfield Paradox,” which is in a word DREADFUL. A team of astronauts aboard the Cloverfield Station make a desperate attempt to finally utilise a new energy source that just may bring an end to a long-running crisis back on Earth. However, this does not go according to plan, and their testing results in the vanishing of the planet Earth as they know it. This also creates several alternate dimensions, creating what looks to be multiple versions of Earth. Which Earth is the Earth is something they have to discover. Meanwhile, on one of the Earth’s, a man named Michael (Roger Davies), whose wife Hamilton (Gugu Mbatha-Raw), an astronaut aboard the station, is also seeing something strange going on. If you were one of the many people who were oblivious to this film’s release, I don’t blame you. 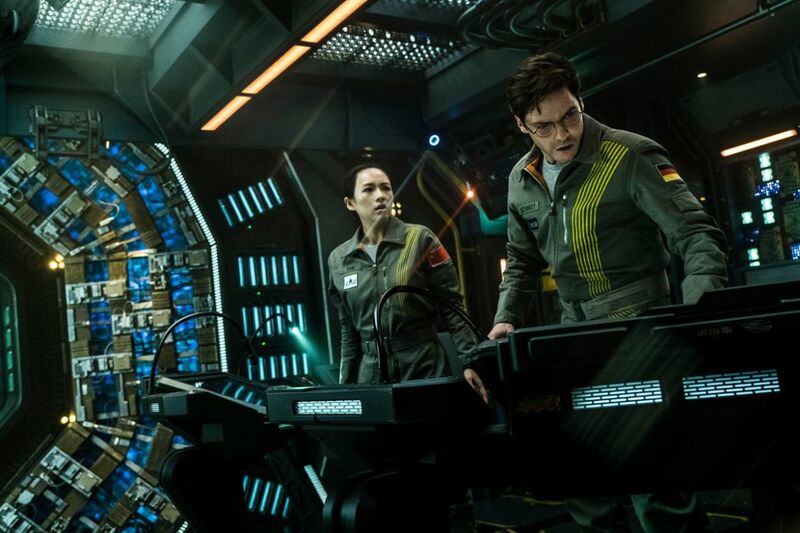 The first trailer for “Cloverfield Paradox” premiered during this year’s Super Bowl LII, and after the game was over, the entire motion picture was available to stream on Netflix. That’s practically unheard of, but, I can’t lie, such a stunt was an extremely bold and surprising move. Reports are that Netflix paid something north of $50M, which avoided a theatrical failure and made the film instantly profitable. It also brought unique and somewhat classy brand awareness to the streaming giant. This kind of cooperation with Hollywood is likely to continue as subpar offerings make their way to home viewing platforms instead of dying expensive and embarrassing deaths in metroplexes. So why exactly is “The Cloverfield Paradox” bad? For starters, every time something that would usually be viewed upon as horrifying for many movie characters, it is honestly played off as a joke in several scenes. For example, when the Earth disappears in the opening of the film, we should have seen our lead characters panicking, as they no longer have a way to return home from their mission in space. Instead, these characters barely talk about this incident for more than a full minute, and then, it is practically laughed about. The same thing is done with nearly every scene that you think has the potential to be suspenseful. This is the one of the main issues with “Cloverfield Paradox.” It has a severe lack of suspense and terror. 2008’s “Cloverfield” is a film I have watched possibly more than five times. Every single time I watch the film however, I am still to this day frightened by the film. It starts off with a seemingly typical party with friends hanging out, and dancing to music, when a series of loud sounds leads to these characters fighting for their lives as they discover a gigantic monster is terrorizing the city. Similarly with “10 Cloverfield Lane,” that blockbuster’s entire first two acts were all suspense driven. Not only does lead character Michelle (Mary Elizabeth Winstead) have to worry about the sanity of the film’s antagonist Howard (John Goodman), but she also has to worry about if what Howard is saying about the outside world is true. He tells her that going outside will kill her and that there is a looming threat outside. And, yes. It’s all treated seriously and almost no jokes are told throughout both of these films. In fact, “Cloverfield Paradox” is in some ways, a comedy. Furthermore, this Netflix exclusive film is quite simply, boring. I have to be honest when I say that this film nearly put me to sleep more than two times. This is because the script is extremely lazy and has no sense of originality, and it comes off all too familiar. It unfortunately seems to use extremely similar elements and sequences from 1979’s “Alien.” There is one scene in this film involving the character of Volkov (Aksel Hennie) that reminded me almost exactly of the iconic chest-bursting scene from that film. This film also creates major plot holes, which unfortunately I cannot delve into, as it would spoil the whole movie. There are however, only a few praise-worthy elements in “Cloverfield Paradox,” one of which being the cinematography, shot by Dan Mindel. This is not his first film he shot that took place in space either; he previously helmed the cinematography for “Star Trek” (2009), “Star Trek Into Darkness” (2013), and “Star Wars: The Force Awakens” (2015). Additionally, this motion picture’s cast is top-notch, and for the most part, is exceptional. The standout here is Gugu Mbatha-Raw as Hamilton. She genuinely does add a lot of emotion and layers to the character that made me sympathize for her. To be frank, she was really the only character I genuinely felt sympathy for, as the other characters are quite simply not fleshed out in any way. “The Cloverfield Paradox” is a colossal disappointment as its script is incredibly lazy, has next to no suspense, and its characters are unlikable due to thin character development. This is definitely not something I would have expected, as the previous two installments had everything I just mentioned and a whole lot more.